Wasp QuickStore is a comprehensive point-of-sale solution for small to medium-sized retailers, offering quick and easy customer checkout and stock management. Ready to use right out of the box, QuickStore features intuitive help-menus for simple set-up and integration. Quickstore EPoS is very well suited to fashion, clothing and shoe shops as it allows a style matrix with sizes and colours of stock items to be maintained. This type of specialist functionality is not available in many other EPoS software packages, making Quickstore a perfect solution. 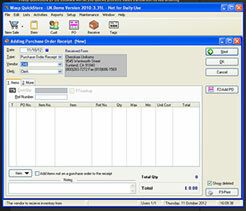 If you operate an electronics shop or computer shop, it will also let you track serial numbers of individual stock items. 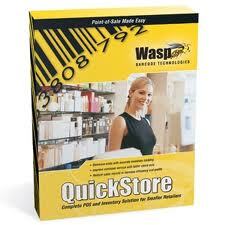 Wasp Quickstore EPoS software will let you quickly process sales transaction by key-entering product codes, scanning barcodes or selecting products from a list. You can print mini receipts or A4 invoices, control the cash drawer automatically and produce a range of management and accounting reports. 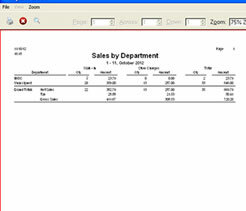 You can analyse your shops performance by product line and product group and by sales staff. 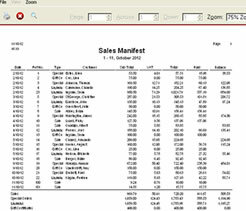 You can produce sales reports as well as gross profit reports. Comprehensive search facilities allow you to lookup a product by barcode, by item code, by manufacturer, product category, description and by list selection. Stock control allows you to define initial stock levels for each item, the system will automatically adjsut stock levels as items are sold, and allow you to specify re-order levels, tracking delivery and booking in of new stock. 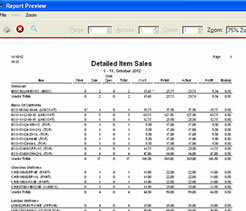 Various product and stock reports can be generated instantly. 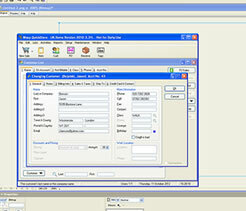 For fashion / clothing stores, the system also allows stock to be controlled by sizes and colours within a style range. The Customer Database allows you keep proper records of all your customers contact details, their account transactions, outstanding balances, credit limits, discount levels, shipping information and other related information. You can re-print invoices, print account statements and generate mailing lists for email, text messaging / sms and mailing marketing purposes. (A separate subscription to an SMS service is required for text messaging). 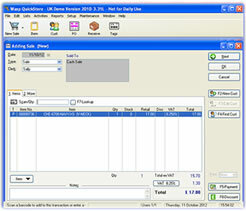 Quickstore Enterprise edition represents tremendous value for money as it is supplied with a Master license for the business for use at the main branch, and then 1 additional store licenses for use on the main computer at a second branch. Additional license for additional branches are also available for the Enterprise edition. 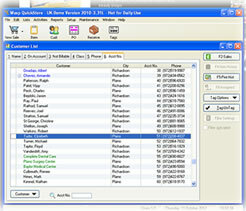 * Distribute and share reference information between physical locations - either by ftp internet transfer or modem. This Enterprise edition is ideally suited to multi-branch operations where you wish to check stock across branches and produce consolidated business-wide reports instantaneously, as well as automate the transfer of stock. With the Enterprise Edition, it can be set to poll the branches at pre-defined intervals in order to retrieve sales and stock data and send any reference information updates. Additional Store Licenses, connected with the Enterprise license, are available at £649 for each additional store. Additional workstation licenses for workstations on a network are priced at £129 each. 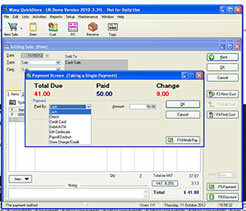 With any edition of the Quickstore software, simply add the required hardware components - cash drawer, receipt printer, barcode scanner, barcode label printer, mobile handheld computer etc - from our equipment range or take a look at our popular package solutions in the Fashion EPoS Systems, Retail EPoS Systems and Salon EPoS Systems sections. 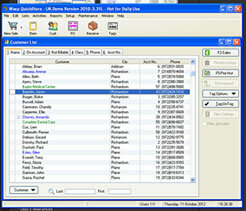 Contact us to arrange a time for a live web demo of QuickStore. We will talk you through the demo by phone as you watch it live on your screen and we can answer any specific questions you have about its many features. * A PC and monitor (or Touch Screen terminal) are required to run QuickStore software. Please contact us to arrange an online interactive demo. 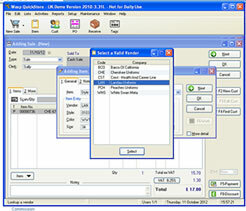 See our Other EPOS Software packages. Saturday 20-April-2019 00:03 Our office is currently closed. We will be open again from 9.30am Monday.